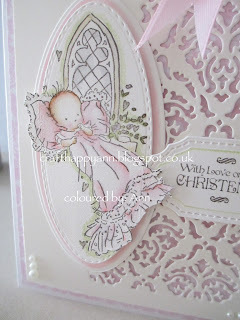 A personal share for today: a christening card I have made for my great niece Lola. And I have coloured my image with distress ink and atyou glitter pens. 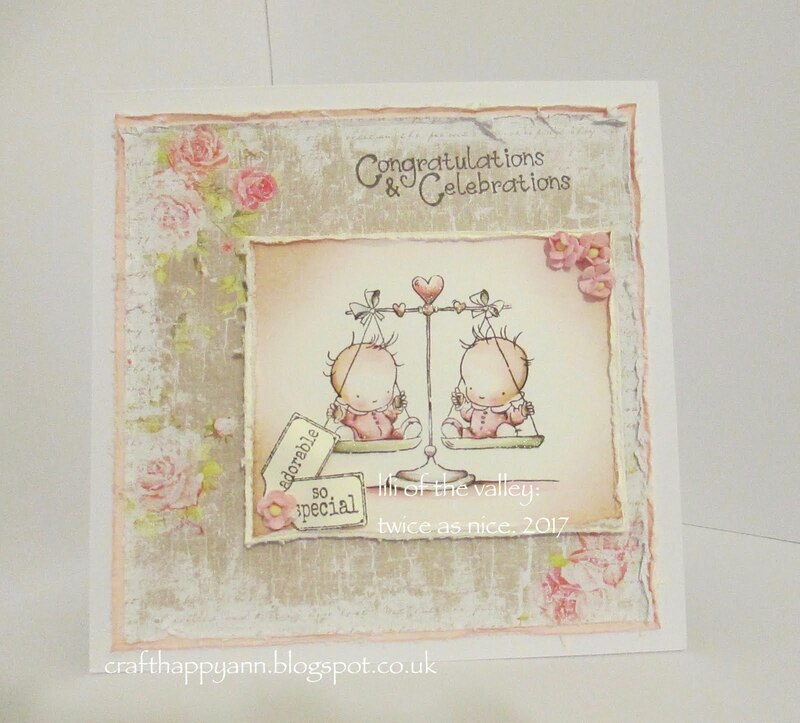 I have also used a number of dies which I do love to use to embellish my creations and i also have to say: i'm so happy to see Lili of the Valley have brought back rubber stamps. (some of which i have had to buy). distress ink: vintage photo, tattered rose, aged mahogany, spun sugar, weathered wood, worn lipstick and antique linen. 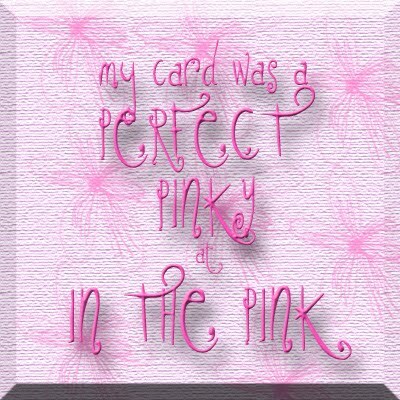 This card is so lovely & elegant! I love the soft colors, perfect for a Christening!